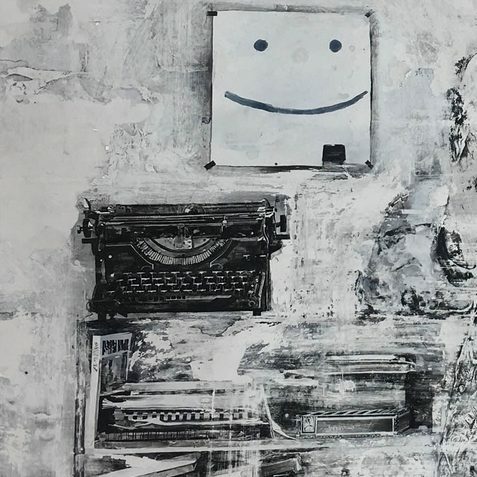 Opening Reception: Saturday, May 6 from 6 to 10 p.m.
Larkin Ford and Nicholas Adams exhibit variations on the narrative in figurative painting and drawing. Ford employs a grotesque realism, depicting tedium, pain, and the thousand natural shocks that flesh is heir to. All of these in service of ambiguous shifting narratives—tableaux in which competing readings are suggested and subverted. Adams’ works reveal the histories of the paintings, themselves. Preliminary studies provide insight into the development of the works as they are taken into fully realized pictures, then beyond. These pieces lean on film, language, and portraiture to render a world resigned.